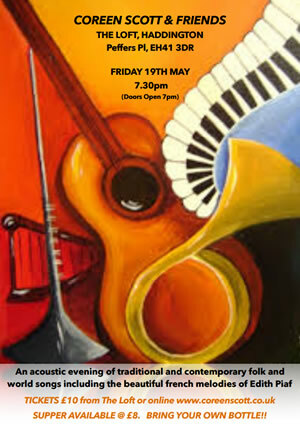 An acoustic evening of traditional and contemporary songs, including the beautiful French melodies of Edith Piaf. “An eclectic collection, all faultlessly delivered with clarity and warmth” (Scots Magazine). SUPPER AVAILABLE @ £8 & BRING YOU OWN BOTTLE! !